Rich with history, settlement in the area dates back to the 1750s when the first European settlers come to the area. Gray Court was originally named Dorrohville as an honor for the Dorroh family who operated the post office and Stagecoach Stop Inn. When the railroad was built in the late 1800s, the small towns of Gray Court and Owings began to develop. It was in the year of 1899 when the town name was changed to Gray Court, the same year it was incorporated as a town. Gray Court is nestled in the northwest corner of Laurens County. It is situated between Fountain Inn and Laurens, South Carolina along highway 14 and I-385. The town is conveniently close to I-385 that gives access to cities like Greenville, Columbia, and further down to other metropolitan cities like Charleston. Gray Court South Carolina is 30 minutes south of Greenville SC real estate. 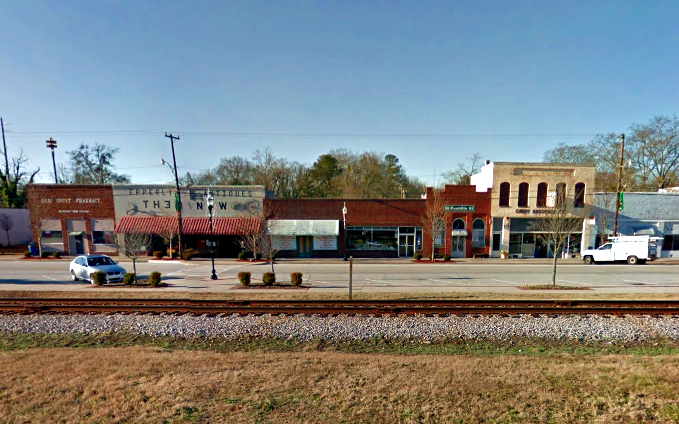 It is a small town in Laurens County home to 797 residents. Gray Court SC real estate offers a small-town feel in a quiet rural area northwest of increasingly popular Laurens County. The town prided itself for its efforts to preserve the history and historic structures of this small town. Gray Court citizens worked hard for the restoration of the historic town. Several buildings and structures are being preserved and relocated in a settlement area. Some of the buildings were also listed in the National Register of Historic Places including the Gray Court-Owings School which is still being used. Small town as it may be but there is an interesting variety of locally run shops in the heart of the town. Highway 14 and I-385 pass through Gray Court real estate. The strategic location gives residents of Gray Court SC real estate convenient access to amenities in bigger cities like Greenville as well as Columbia. Wide acreages, single-family Gray Court homes for sale, farmland, and woodlands are characteristics of the area. Gray Court SC real estate has a median price range of around $62,600. Home prices range from low $60,000 up to $500,000. There are plenty of choices to consider when relocating or buying a home in Gray Court, buyers can choose from acreages, homes with larger lots to rural homes in the outer limits of the town. With a reasonable cost of living and low taxes, Gray Court SC real estate is a great place for transplants who are seeking affordable housing. The town of Gray Court, SC is served by two school districts: Laurens School District 55 and Greenville County School District, but majority of Gray Court is covered by Laurens School District.